July 4 is coming up and I’m sure people will start to get their grills ready to cook up a feast. What kills me is that sometimes I’ll attend parties where the person at the grill clearly doesn’t know what they are doing where your options are burnt meat or raw meat. 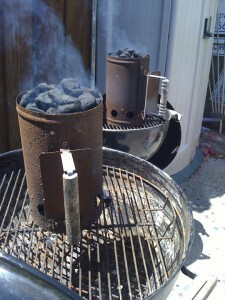 I’m going to go over two styles of charcoal layouts that help me grill. First we need to talk about lighting. 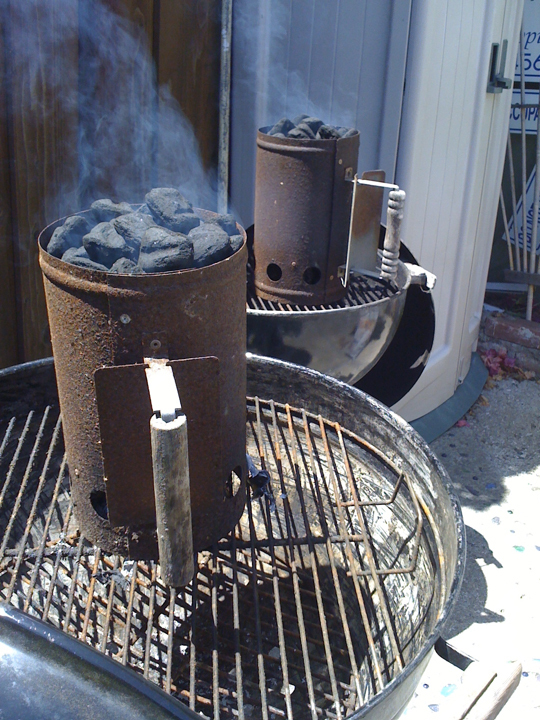 I like to use chimneys to get the coals started. This technique does not use charcoal lighter fluid. Some say they can taste the fluid in the meat. Tasting the fluid in the meat usually happens when you don’t let the fluid soak into the coals (when it says wait 15-20 minutes, wait). Also, as a warning, do not use the charcoal that has already been soaked in fluid such as Matchlight in starter chimneys. I mean, it works, but the chimney is not needed. Secondly, what kind of charcoal should you use? I’m a big fan of wood coals. Wood coals, sometimes called lump coals, tend to burn hotter and faster than charcoal briquettes. The formulas I use when picking coals are: What’s in stock at the store and what am I cooking? “What am I cooking?” is the main question. I tend to use charcoal briquettes if I’m cooking chicken, pork, or fish. 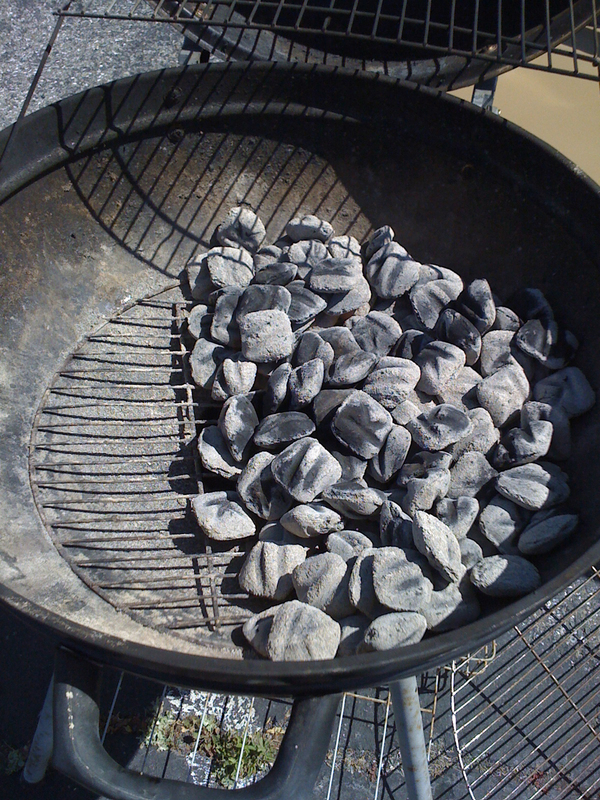 I use lump coal when grilling beef, lamb, or another meat that could use a nice sear. Oh vegetables…I like charcoal. I’m not sure what these are officially called but I call the one on the left, Warm/Hot. The other is Hot/Warm/Hot. The Warm/Hot layout is useful when you want a quick sear on the meat but then need some time for it to cook through. I use this method when grilling chicken. I also like to use it when making Tritip. The Hot/Warm/Hot layout is just like the Warm/Hot layout except it’s hotter in the middle. I use this layout when making burgers or steaks. This layout is helpful if you want that crispy sear and you’re managing thinner cuts of meats where you just need a few minutes before serving. Whatever layout you choose, I always recommend creating a cool safe spot. This safe spot will save you from burning meats and gives you time to rest. 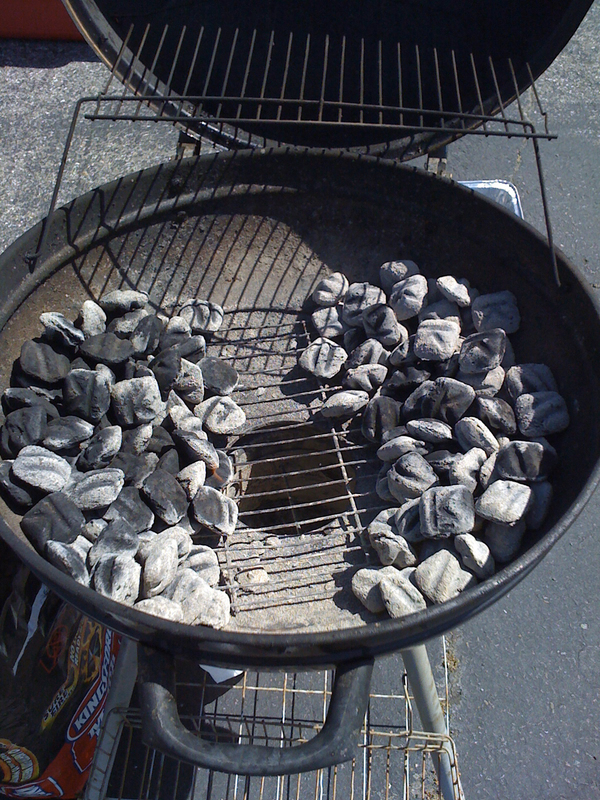 I used to be full charcoal grill person…ask my dad. He used to laugh at me when I did that. Sure enough I had burnt meat. The Hot/Warm/Hot layout is just like the Warm/Hot layout except it’s hotter in the middle. You mean it’s cooler in the middle… right? Another addition to that warm/hot set up is an aluminum foil pan with some water (about an inch or so) on the warm side to add moisture to your smoke. This works great on ribs and other slower cooking meats. Hi Paul, Yes, cooler in the middle.